The task: 24 hours of straight drawing with no prior preparation. The result: An honest and humorous look at life with Crohn's disease. Not bad. 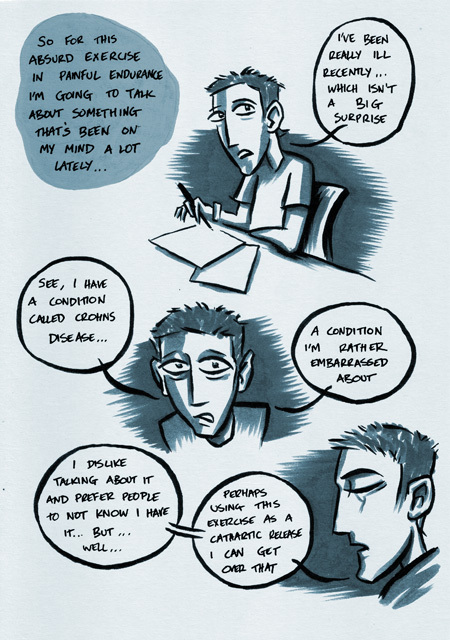 Check out Tom Humberstone's Crohn's disease comic below!